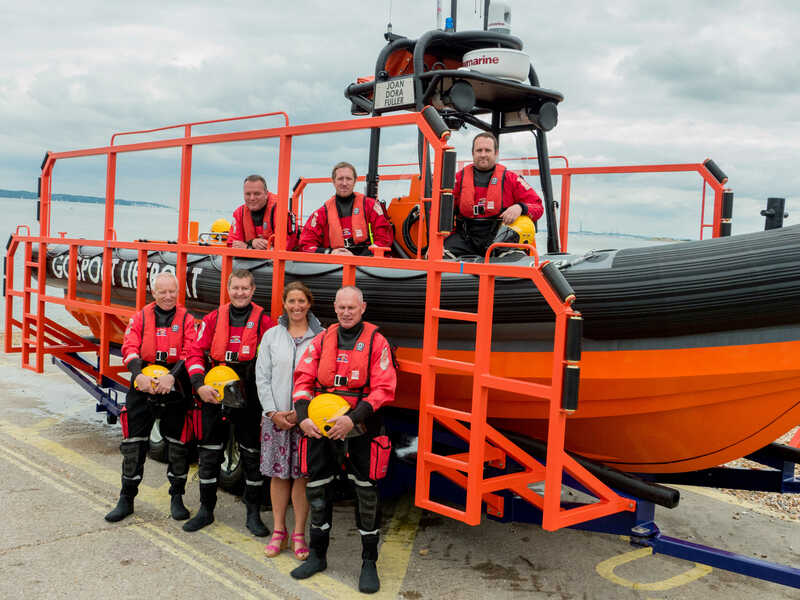 Record-breaking sailor Dee Caffari officially launched Gosport & Fareham Inshore Rescue Service’s two new lifeboats on Saturday, June 18. 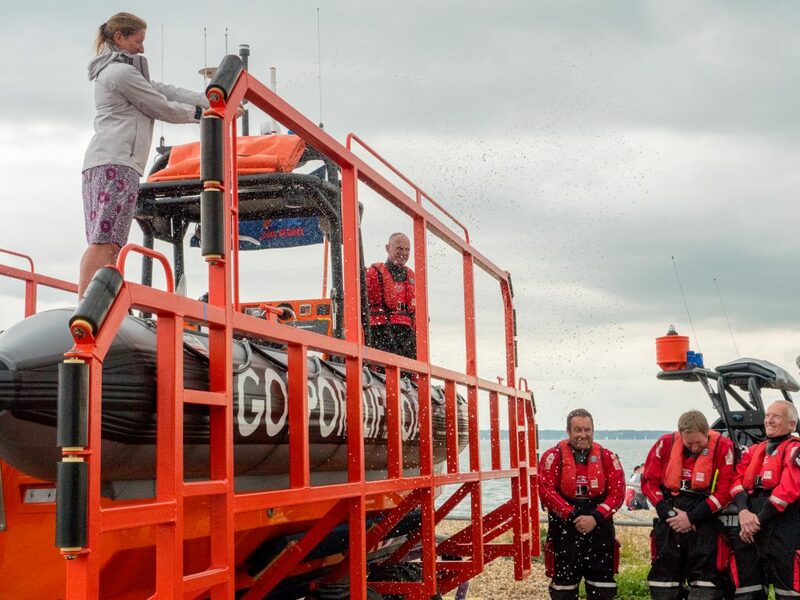 Caffari celebrated the naming of the Joan Dora Fuller, the rescue service’s 9m RIB, and the Ian Fuller, GAFIRS’ smaller 4.8m RIB, by spraying the two new lifeboats with champagne. 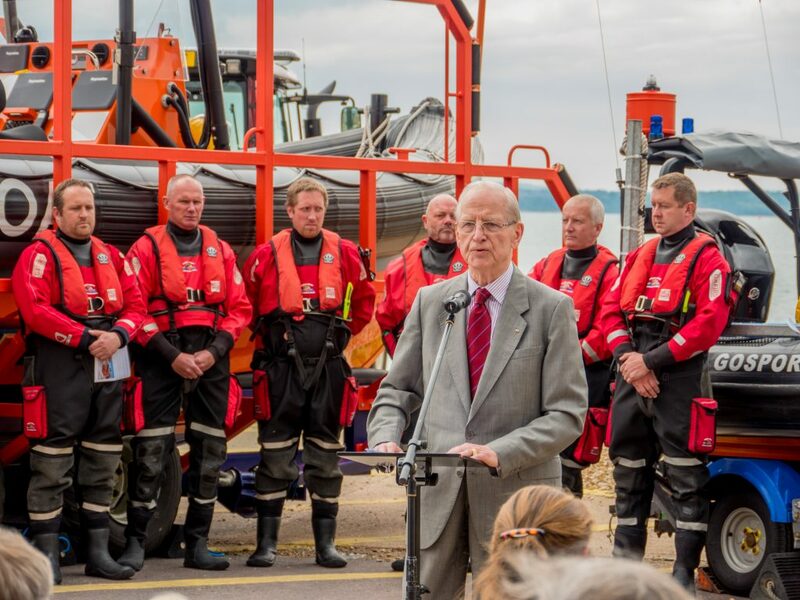 The ceremony, held at GAFIRS’ Stokes Bay headquarters, Gosport, was attended by the mayors of Gosport and Fareham, as well as Roy West, a close friend of the Fuller family who bequeathed the money to pay for the new boats. The naming ceremony was led by speeches from Mr Thomas, Mr West and GAFIRS president John Lee, before the champagne was let loose. Dee Caffari said: ‘I’m very proud to be the patron of GAFIRS. 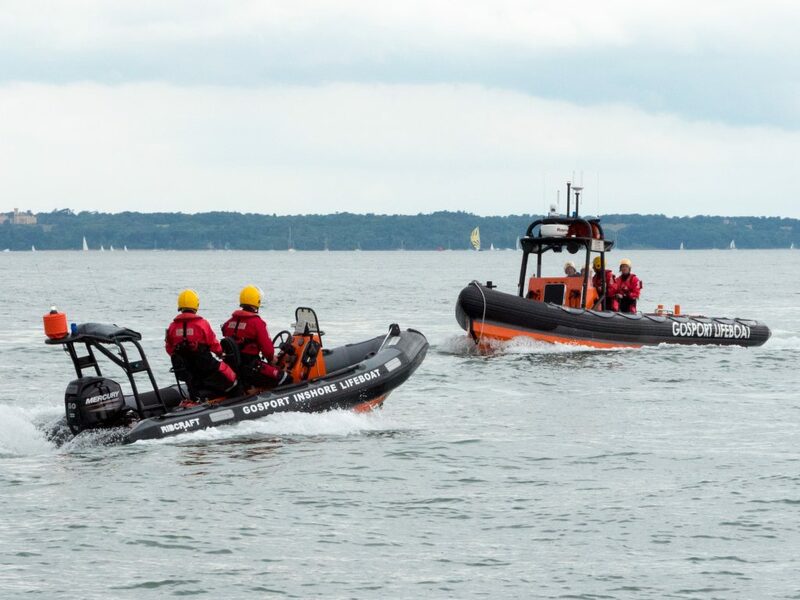 The Solent is my playground, so to have the reassurance of the work GAFIRS do and knowing that should the worst happen that I’m in good hands is very comforting.